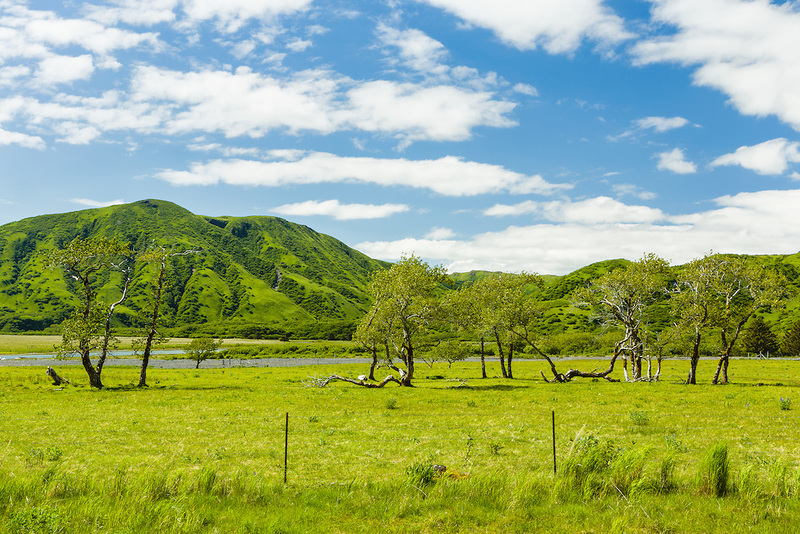 Trees give a Lower 48 western look to this ranch near Pasagshak on Kodiak Island in Southwestern Alaska. Summer. Afternoon.